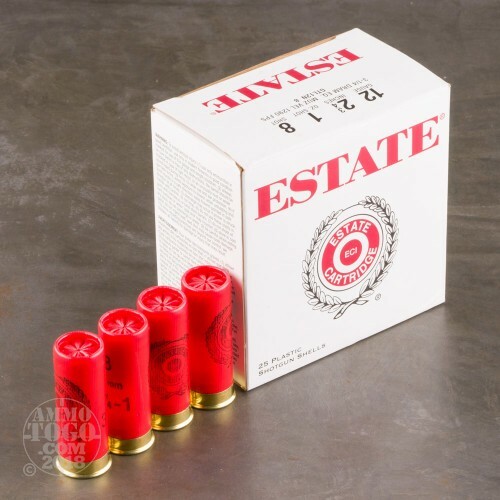 This is 12 Gauge Estate Dove and Target 2 3/4" 3 1/4 Dram 1oz. 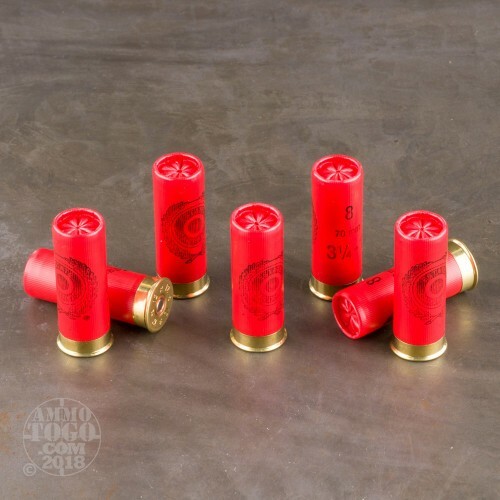 #8 Shot Ammo. 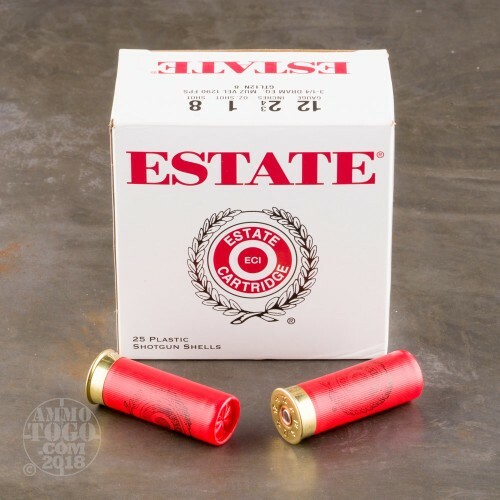 Estate Cartridge shotshells may be used for a variety of applications both in the field or at the range. Muzzle velocity of 1290fps. 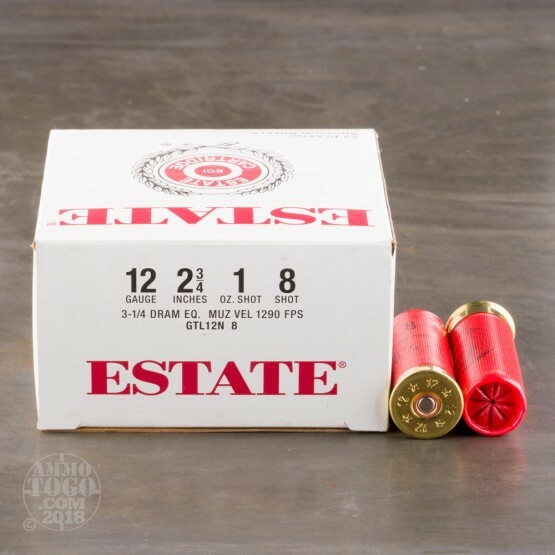 This ammo is made in the USA and comes packed in 25rds. per box.